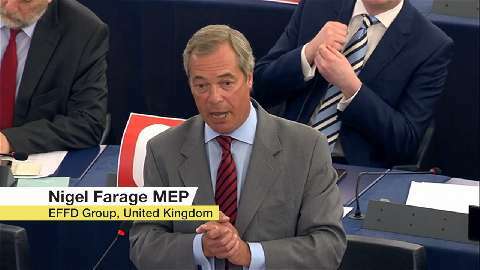 “I should miss the theatre, and I should miss the drama that there has been inside the European Parliament,” said UKIP leader Nigel Farage on Wednesday (6th July), after Britain voted to leave the European Union on June 23rd. “I’m surprised that you are here. 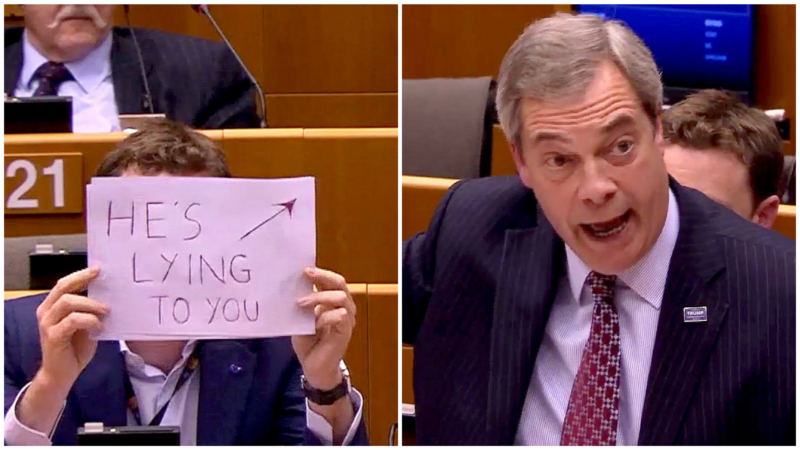 You were fighting for the exit. 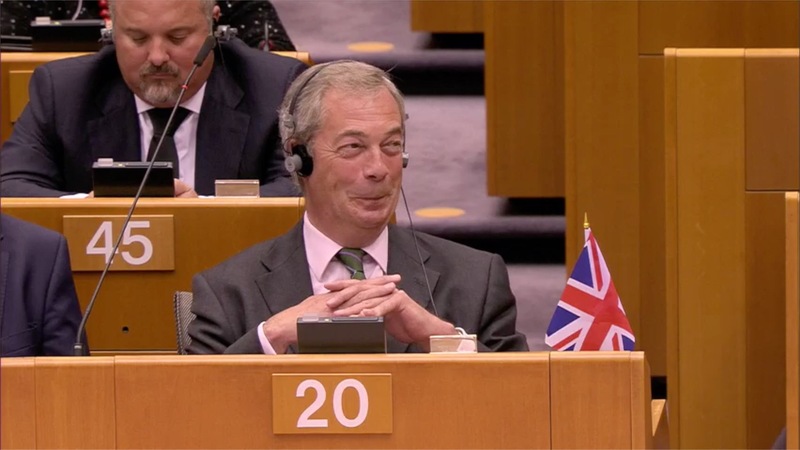 The British people voted for the exit. 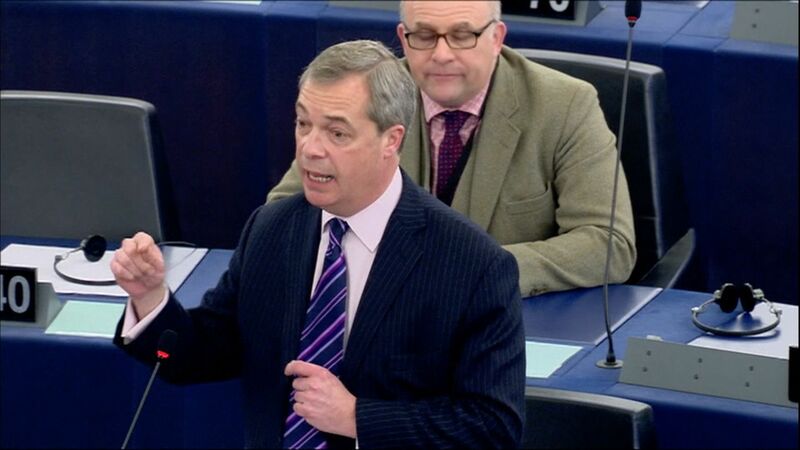 Why are you here?” European Commission President Jean-Claude Juncker said on Tuesday in Strasbourg. 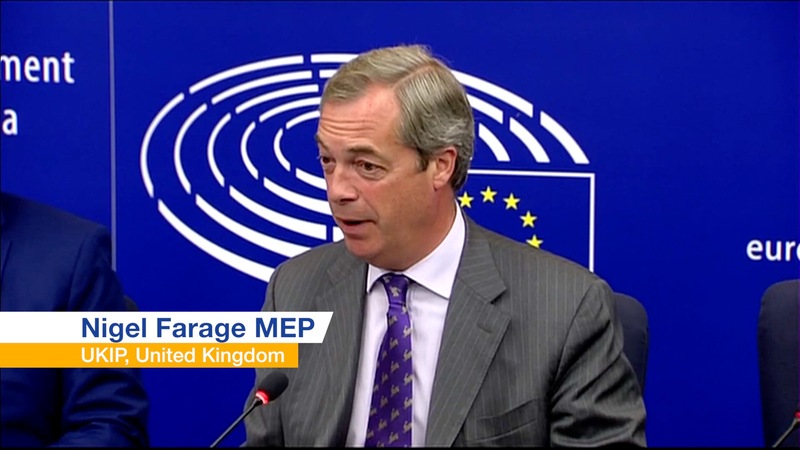 “If you've got the courage you should lead the Greek people out of the eurozone, with your head held high,” said British MEP Nigel Farage (EFFD). 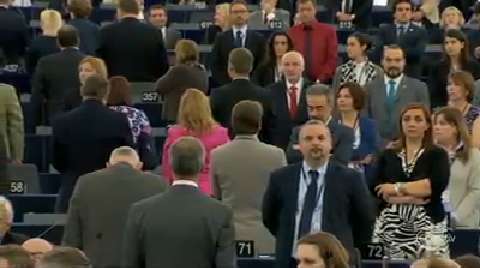 Nigel Farage's Eurosceptic group in the European Parliament reformed on Tuesday after the arrival of Polish MEP Robert Jaroslaw Iwaszkiewicz. 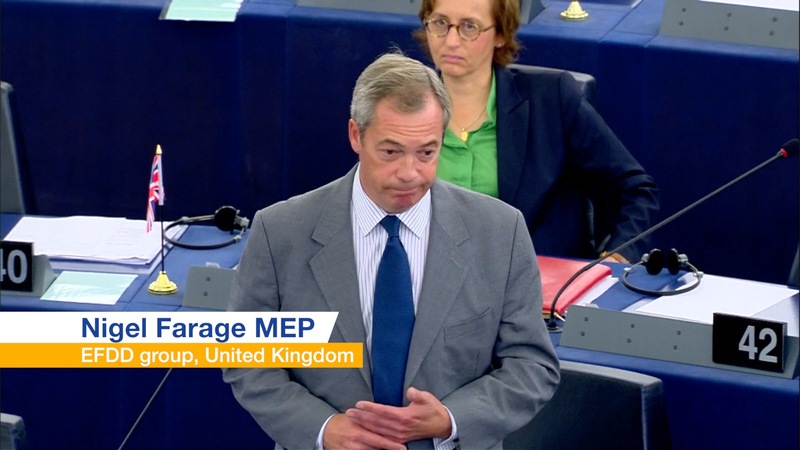 Nigel Farage's Eurosceptic group in the European Parliament collapsed on Thursday following the withdrawal of Latvian MEP Iveta Grigule. 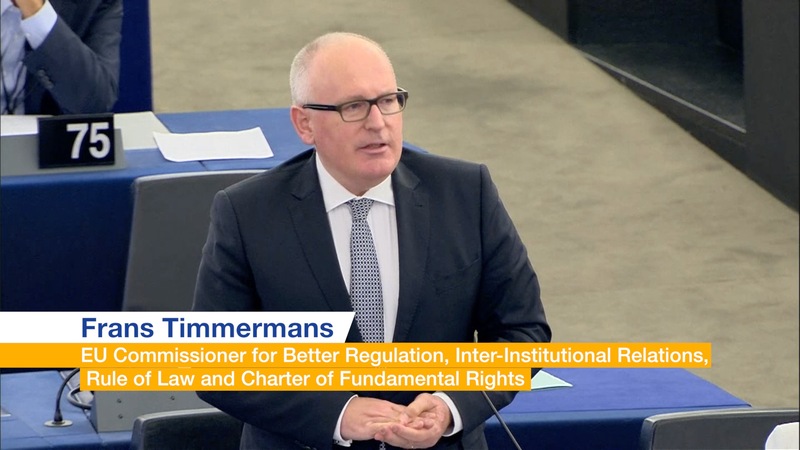 Designated European Commission President Jean-Claude Juncker met eurosceptic MEPS in the European Parliament on Wednesday, in a bid to secure backing for Europe's top job. 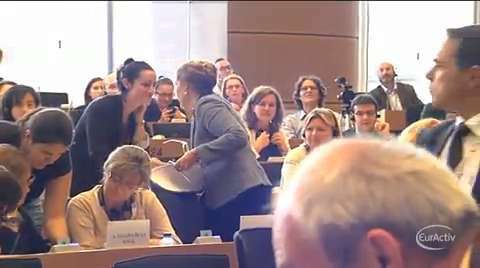 The UK Independence Party and France’s Front National on Tuesday staged protests at the opening of the new European Parliament in Strasbourg, where Martin Schulz was elected for a second term as European Parliament President. 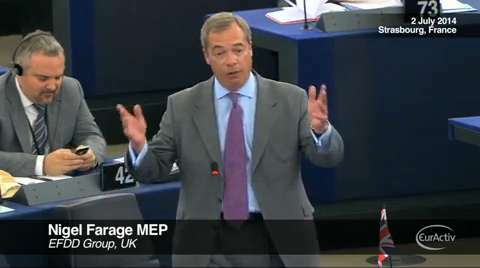 Ukip leader Nigel Farage announced on Tuesday a name change for his eurosceptic European Parliament group. 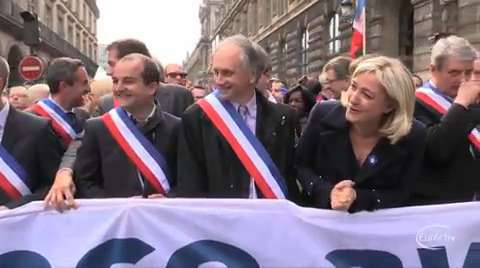 Europe of Freedom and Direct Democracy will be the new name. 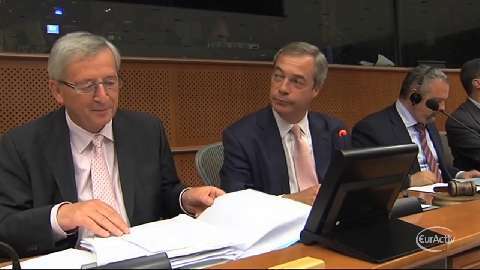 UKIP leader Nigel Farage said on Tuesday that “there is a big dissident voice now in this Parliament”, as the leaders of the European Parliament political groups met in Brussels ahead of an informal dinner of EU Heads of State and Governments on Tuesday evening. 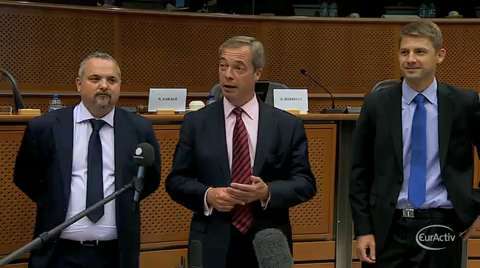 43.1% of EU citizens went to the polls on Sunday to chose who will lead Europe for the next 5 years. 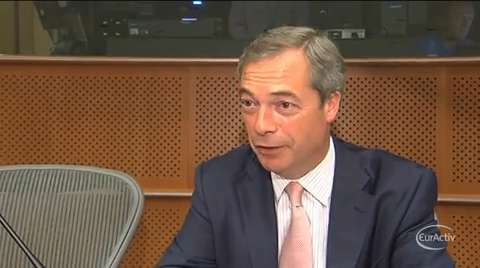 Speaking as the first EU election result projection was released, UKIP leader Nigel Farage said on Monday that the potential UKIP election win is ‘an earthquake’. 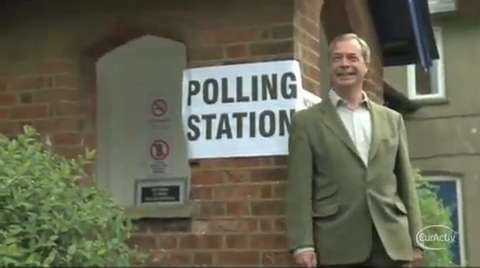 British and Dutch citizens went to the polls on Thursday to choose who will lead Europe for the next 5 years. 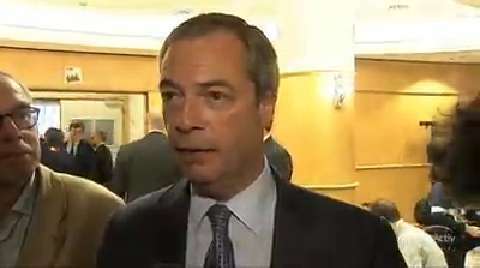 Speaking to journalists waiting outside the polling station in Britain on Thursday, UKIP leader Nigel Farage said that if his party does as well as they expect in the European elections, “things will never be quite the same again."